Everyone deserves to have all their precious moments to be remembered until to the rest generation. That is why technology is evolving and creating advance and easy way of preserving the once in a lifetime moment of every person. If before the only way of capturing momentous events like weddings, baptism, burial and etc. is through the use of camera, but in this time a new way of preserving those moments lively is through viodeography or video coverage. And there is a man who could give you the best video coverage more than you expect to have. He is Buddy Gancenia. 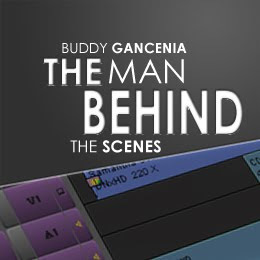 He is a highly experienced producer-Vidoegrapher and editor for more than 15 years experienced working to the country’s top rated television networks in the Philippines like ABS-CBN and GMA7. He begun his video career way back in 1991 where he was one of the production staff of Negosyete, a livelihood program aired in GMA7, then he moved to ABS-CBN and handled a more entrenched post production shows like Sharon, ASAP, Game KNB and lately the Pinoy Big Brother which gave him the opportunity to enhanced his skills when he undergone trainings together with the Endemol crew of Big Brother in Netherlands. For him he has learned and mastered the skills needed to take the craft of vidoegraphy beyond the broadcast industry and moving towards to the people who wanted his services in videograhy. He is accepting wedding video, corporate video and video coverage of any occasions. For more additional information regarding his services you can visit his site.